A 38 North exclusive with analysis by Jack Liu. 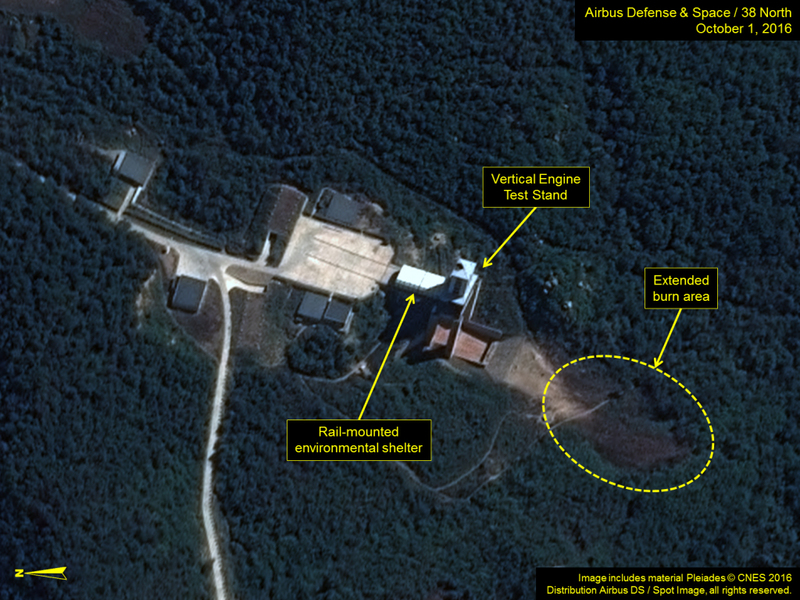 Commercial satellite imagery from October 1 supports recent reports of increased activity at the Sohae Satellite Launching Station, including crates on the launch pad next to the gantry tower and vehicles near the fuel and oxidizer buildings. However, since both the gantry tower and the assembly structures on the launch pad are covered, it is unclear whether this activity is related to launch preparations or other operations. Additionally, work continues at the vertical engine test stand. 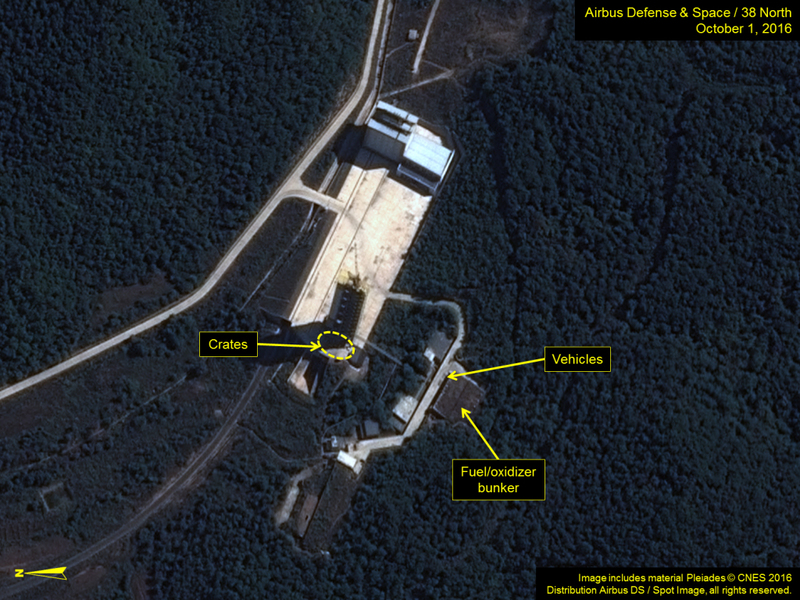 Recent commercial satellite imagery from October 1 shows crates next to the gantry tower on the launch pad and several large vehicles in front of the newly built fuel/oxidizer bunker. However, environmental covers make it impossible to observe if a space launch vehicle or related components are located at the gantry tower or have been moved into the assembly structures. Figure 1. Activity at the Launch Pad. Figure 2. Extended vegetation burn area evident at Vertical Engine Test Stand.